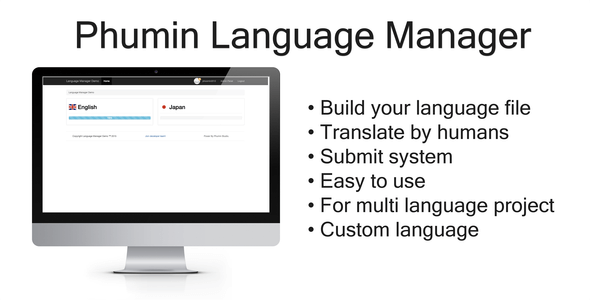 Phumin Language Manager (PLM) is localization management platfom and translation tool for developers and website owners. You can upload language file to PLM and start translate in few minutes. You can share your translation to another one to help you translate your file. You can select correct word by yourself. When you complete translate, you can download the file that you upload on first with complete new language by one click. Language : English, Thai , More coming soon.